Lightweight classic styling with a full view lens and built-in moulded browbar. 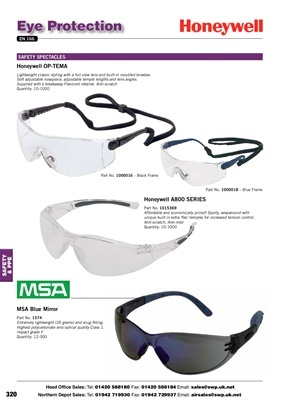 Soft adjustable nosepiece, adjustable temple lengths and lens angles. unique built in extra 'flex' temples for increased tension control. Extremely lightweight (26 grams) and snug fitting. Highest polycarbonate lens optical quality Class 1.